If you absolutely hate cleaning, then tile flooring is the right choice for your abode. Low maintenance can be just the deciding factor when you’re trying to figure out if tile is right for the flooring in your house. When you think of tiles, you might be thinking of generic ones in bathrooms or installations that take forever because you have to lay ever single slate down individually, but that’s not the case anymore. While it can take a long time for tile installation, when you leave it up to the professionals, we’ll be in and out of your home in a jiffy. Tile flooring comes in a variety of patterns, styles, and colors. From beautiful, unique patterns to smooth, classy hues, you can finally have the bathroom or the kitchen that you imagined. 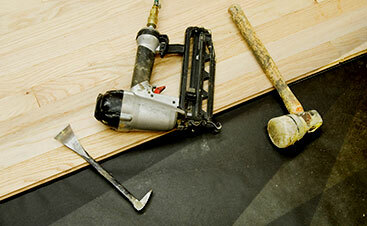 For any questions or concerns about 2 Day Flooring and the tile options you can take advantage of, reach out to us. 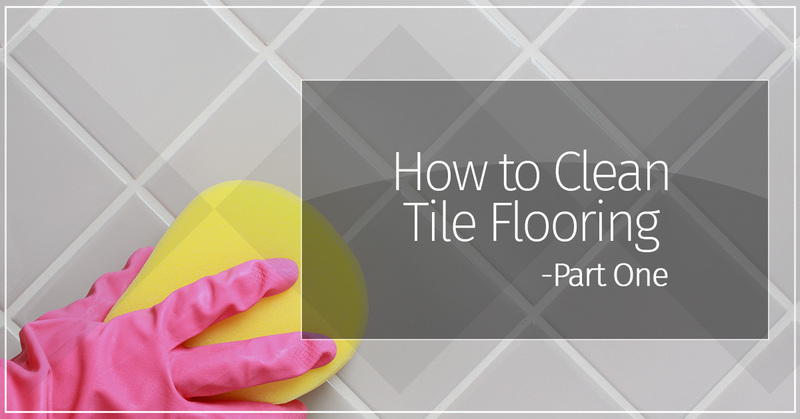 When you start to clean your tiles, you’ll want to do some preparations. Regardless of the room or the item you’re cleaning, you’ll always want to prepare your cleaning supplies before you really get into the nitty-gritty of cleaning. While more people find cleaning to be therapeutic, there are those who find the task to be completely daunting, which is why we’re here to help you learn how to make your tiles shine and sparkle. When you are getting ready to prepare your tiles and make them shine, you’ll want to sweep the debris and dirt from the surface. Make the area clean and tidy by sweeping all that detritus into a tidy pile to remove. Once the grit and remnants are removed from the flooring, you’ll want to vacuum around the baseboards in your home to pick up anything you may have missed. Once the vacuuming is finished, you’ll move the surface cleaner on your device to the lowest setting and move over the tiles to ensure you’ve gotten every last piece of dirt you can. Once you’ve prepared your tiles for cleaning, you’ll want to remember some vital points. Tile flooring is very low-maintenance when it comes to cleaning. Porcelain tiles specifically are designed from natural particles that are shaped in a kiln, which helps them be more resilient and durable. The durability of porcelain tiles are unmatched and it’s very difficult to damage them due to the protective barrier. It’s vital that you don’t allow any dirt or spills to get too comfortable in the tiles. If you notice that you spilled orange juice on the floor and don’t clean it up quickly, then stains can become ingrained in the surface and no one wants that. You’ll also want to practice frequent maintenance to make it easier on you and more effective for cleaning. If you continuously spill all over your home and you don’t really get in between the grout to rid your flooring of those potential stains, then you could be looking at long-term damage. For flooring with grout, such as ceramic tiles, you’ll want to avoid that discolored and dingy look. To evade this, you need to scrub the grout to seal the look of your tile. 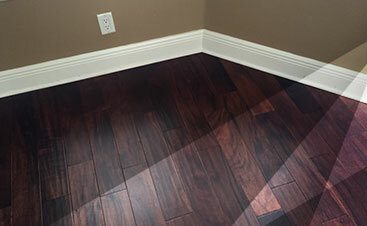 Stay tuned for our next blog to learn more about making your tiles shine.